With more than 243,000 resort industry employees, Las Vegas will provide the best convention experience in the world. Our resorts host 6.5 million meeting, convention and incentive delegates, with programs ranging in size from 10 to over 150,000 attendees annually. 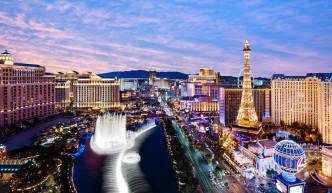 The attractiveness of Las Vegas generates strong attendance for meetings. On average, attendance increases 8 percent when conventions rotate into Las Vegas. Research also shows that attendees spend more time in meetings and on the trade show floor when programs are held in Las Vegas. Space, space and more space. Las Vegas has more than 11.5 million sq. ft. of exhibit & meeting space and is home to three of the country&apos;s 10 largest convention venues: the Mandalay Bay Convention Center, a 2.0 million-square-foot center on the south Strip; 1.7 million-square-foot Sands Expo and Convention Center (includes 500,000 sq. ft. of The Venetian/Palazzo meeting space); and the 2.2 million-square-foot Las Vegas Convention Center. 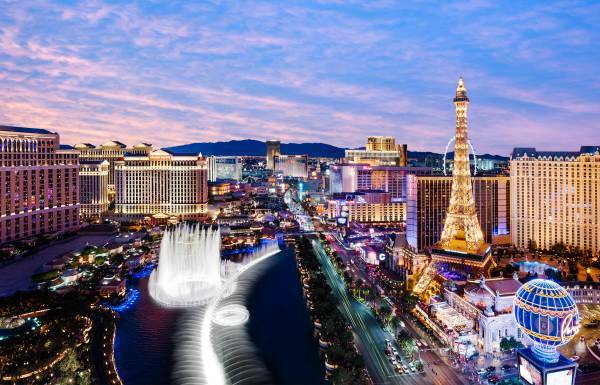 With nearly 1,000 inbound and outbound flights per day and nonstop service from more than 130 U.S. and international cities, Las Vegas is easy on your time and budget. In many cases, the close proximity of Las Vegas hotels eliminates the need for transportation as delegates can walk to many destinations. When transportation is required, however, Las Vegas offers myriad options including bus, taxi, Uber/Lyft, shuttles and the country&apos;s first automated monorail.